In my Acupuncture and Acupressure Therapy practice I have clients lie on an Amethyst Bio Mat pad for added benefits of Quantum healing. 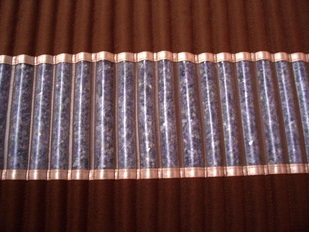 The BioMat converts electrical heat through the use of Amethyst and Tourmaline Crystals into Far Infrared Rays (FIR), the safest, most beneficial light wave. This reduces swelling, increases blood flow and has been shown to destroy cancer and viral cells without harming surrounding healthy cells. It penetrates 6-8 inches into the innermost recesses of the body, stimulating healing and regeneration of nerves and muscle tissue layers. These two components, the Negative Ions and Far Infrared Rays, are transferred through Amethyst Quartz channels which cover the entire BioMat™s surface. The Amethyst Crystals produce the highest frequency of vibrational energy that the body can absorb, thereby promoting increased conduction and absorbtion of FIR and Negative Ions. 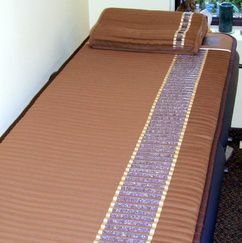 I have seen the benefits of lying on the BioMat during treatments in my clients. It can be a deeply relaxing and transformative healing experience. Regular use can bring long lasting results from reduction of pain, better sleep and improved health. For your own personal experience, call for an appointment. 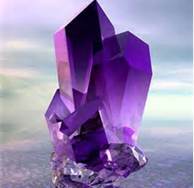 This entry was posted in Biomat, Crystal Healing and tagged Alternative, Amethyst, Crystal, Energy Healing, Health, Practitioners by barbarablanchard. Bookmark the permalink.